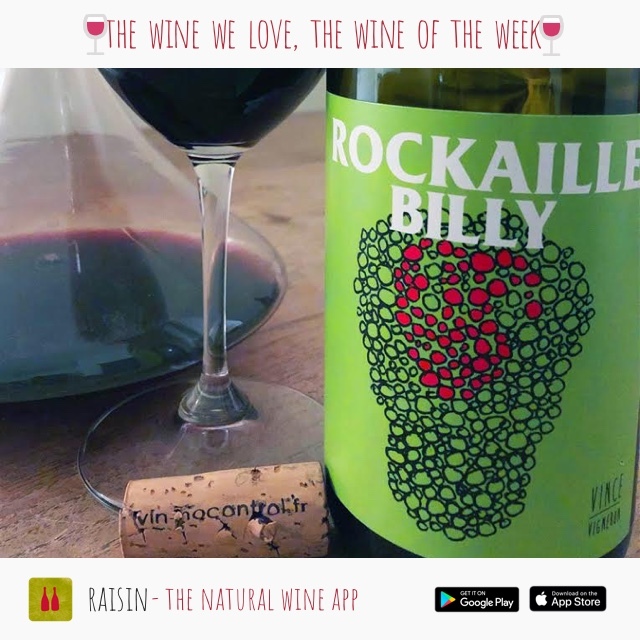 2017 Rockaille Billy – 100% Gamay from Vincent Marie, Domaine No Control: David’s Wine of the Week. One of the new wave local winemakers who is putting the Auvergne on the relevant world wine map. Vincent got going with his start up in 2013 after a BTS and internships in Alsace with Patrick Meyer and Bruno Schueller. That’s like immersion therapy in biodynamic growing, coupled with patience, confidence, and focus in the cellar. The Rockaille Billy wine comes from granite and sandy parcels, running south east at 500m. That’s enough altitude to provide thin cooling air, during the growing season evenings. Hand picked in small baskets with ultra, high attention to fruit quality. Three weeks of maceration with natural fermentation. Raised in 2,300 liter vats, which are roughly the capacity of 10 barrels. Vincent describes what he is after as “pure, fresh, generous wines of high drinkability…” and that’s what we have here. There is a lightness and aérien touch that nicely clicks in with the more complex structure. That structure comes through as crunchy fruits with a tram of minerality in the finish. What would you expect from granitic sand? It’s also purely delicious. We ran the wine into a carafe and drank it at home in San Francisco, with beef meatballs from an Ottolenghi recipe. Made in the Auvergne volcanic hillsides, but very much a world wine. Check out Vincent’s fabulous website to see how well explained “no control” can be. HAVE YOU BOUGHT YOUR RAISIN STICKER YET? Raisin will be attending the 3rd annual Third Coast Soif in Chicago!